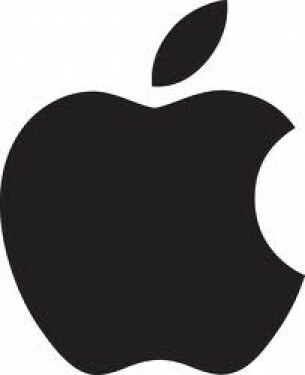 Apple Inc. (NASDAQ:AAPL) investors should pay attention to a decrease in support from the world’s most elite money managers recently. In the 21st century investor’s toolkit, there are a multitude of indicators investors can use to watch publicly traded companies. A pair of the most useful are hedge fund and insider trading activity. At Insider Monkey, our studies have shown that, historically, those who follow the top picks of the best hedge fund managers can outpace the broader indices by a superb amount (see just how much). Just as key, optimistic insider trading sentiment is a second way to break down the world of equities. Just as you’d expect, there are plenty of stimuli for an insider to get rid of shares of his or her company, but only one, very clear reason why they would initiate a purchase. Many empirical studies have demonstrated the useful potential of this method if investors know what to do (learn more here). Keeping this in mind, we’re going to take a gander at the key action encompassing Apple Inc. (NASDAQ:AAPL). What does the smart money think about Apple Inc. (NASDAQ:AAPL)? In preparation for this year, a total of 134 of the hedge funds we track were bullish in this stock, a change of -15% from the third quarter. With hedgies’ sentiment swirling, there exists an “upper tier” of notable hedge fund managers who were increasing their holdings significantly. Of the funds we track, Citadel Investment Group, managed by Ken Griffin, holds the largest position in Apple Inc. (NASDAQ:AAPL). Citadel Investment Group has a $5.4717 billion call position in the stock, comprising 8.4% of its 13F portfolio. The second largest stake is held by D. E. Shaw of D E Shaw, with a $825.7 million position; 2% of its 13F portfolio is allocated to the stock. Remaining peers that hold long positions include Phill Gross and Robert Atchinson’s Adage Capital Management, David Einhorn’s Greenlight Capital and Chase Coleman and Feroz Dewan’s Tiger Global Management LLC. Seeing as Apple Inc. (NASDAQ:AAPL) has witnessed declining sentiment from the entirety of the hedge funds we track, logic holds that there was a specific group of money managers who sold off their positions entirely at the end of the year. Interestingly, Chase Coleman and Feroz Dewan’s Tiger Global Management LLC dropped the biggest position of the 450+ funds we monitor, worth about $800.5 million in call options. Andreas Halvorsen’s fund, Viking Global, also dumped its stock, about $729.8 million worth. These bearish behaviors are interesting, as total hedge fund interest was cut by 24 funds at the end of the year. What do corporate executives and insiders think about Apple Inc. (NASDAQ:AAPL)? Insider trading activity, especially when it’s bullish, is at its handiest when the company in focus has seen transactions within the past 180 days. Over the last six-month time frame, Apple Inc. (NASDAQ:AAPL) has seen 1 unique insiders buying, and 5 insider sales (see the details of insider trades here). Let’s also examine hedge fund and insider activity in other stocks similar to Apple Inc. (NASDAQ:AAPL). These stocks are Hewlett-Packard Company (NYSE:HPQ), Google Inc (NASDAQ:GOOG), International Business Machines Corp. (NYSE:IBM), Microsoft Corporation (NASDAQ:MSFT), and Dell Inc. (NASDAQ:DELL). This group of stocks are in the personal computers industry and their market caps are similar to AAPL’s market cap.